The Lake Winnipesaukee boasts over 2,200 sq. 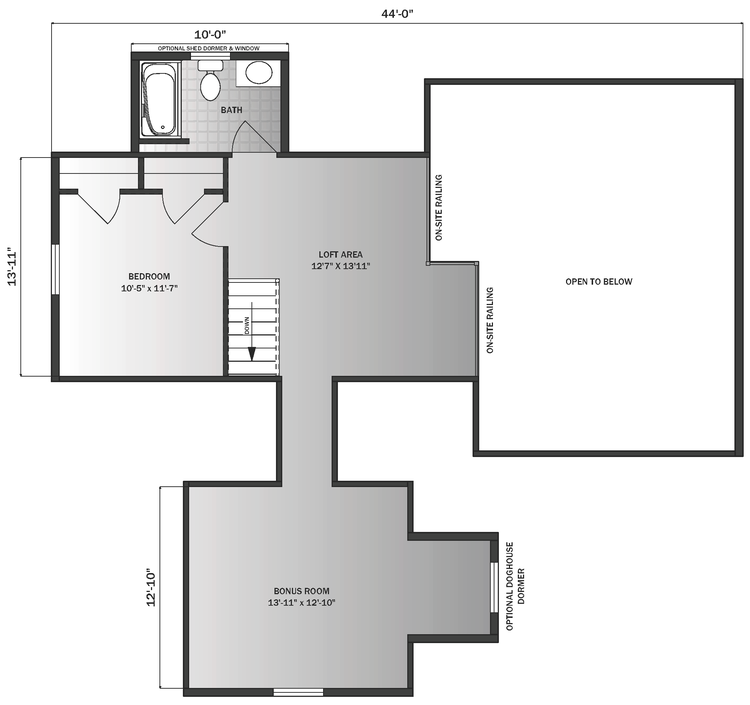 ft. of living space with the possibility for an additional 605 sq. ft. of site-finished living space upstairs. Designed to capture a view, the vaulted great room accommodates living and dining spaces, along with the open kitchen with bar overhang. Three bedrooms and two bathrooms along with a utility room round out the plan. 3 Bedrooms | 2 Baths | 2,215 sq. ft.